The marriage of global positioning satellite (GPS) technology to amateur packet radio is the new frontier. By its very nature, the most important aspect of any radio communication network is the knowledge of the location of all of its participants. With the price of GPS receivers set to fall under $300 this year, and with new units being the size of a matchbox, there is no reason why all mobile units, whether voice or packet, should not periodically transmit their location. This article begins with a brief overview of the rapidly evolving GPS marketplace and a description of the National Marine Electronics Association (NMEA) standard data interface. Then we address three major categories of GPS/LORAN-to-packet interfacing: the direct interface to a PC running the APRS software (see sidebar), using any GPS unit with the PacComm TNC, and using the programmable Magellian or Motorola GPS unit with any TNC. Photo 1—Photo comparing the size of a ball-point pen to the Magellian 5-volt GPS card and antenna and a PacComm Handi-Packet TNC. eral local events, and for the Marine Corps Marathon in Washington, DC. Photo 2—This photo shows the 12-V, RS-232 version of the Magellian GPS card mounted in the lid of an MFJ 1274 TNC. 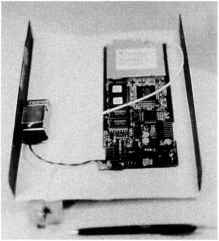 The only external evidence of the GPS is the antenna bracket on the back, and the two RS-232 switches on the front panel. Latest Beacons—This display maintains a list of the latest Ul frame received from each station. In effect, this is a multi-station, one-line broadcast message system. Since the lines contain the latest time of receipt, this display shows if a station was on line within the last few minutes. Position—This display maintains a separate list of the position of each station. Each position report can also con tain a brief comment, weather report, DF bearing, or other important information. Maps—Maps to any scale from 0.5 miles up to the whole world can be displayed. Stations are instantly displayed when they transmit a properly formatted position beacon. Stations with a reported course and speed are automatically dead-reckoned to their present position, You can center the map anywhere in the world. Messages—In addition to the beacon text, which is used to broadcast information to all other stations on the net, there is an operator-to-operator message capability. Any station can send multiple one-line messages to any other station On receipt, the messages are acknowledged and displayed on the bottom of the receiving station's screen until the operator kills them. Ail Traffic Log—This display is a time sequenced log of every new beacon or message line sent. Beacons are logged only the first time they are received. When Heard—This display maintains a count of the total number of transmissions from each station per hour. These statistics are ideal for displaying the connectivity of the network over varying paths, such as HF, or to see when stations enter and leave the net. Although APRS automatically tracks mobile packet stations interfaced to GPS or LORAN navigation, the graphic capability of the maps works perfectly well with manual tracking or with grid squares. Any station on HF or VHF that includes its grid square in brackets as the first text iri the beacon text will be plotted by APRS. Additionally, any station can place an object on its map, including itself, and within seconds that object appears on all other station displays. In the example of a parade, as each checkpoint with packet comes on line, its position is instantly displayed to all in the net. Whenever a station moves, the operator just updates the station position on the map, and that movement is transmitted to all other stations. To track other event assets, only one packet operator needs to monitor voice traffic to hear where things are. As that operator maintains the positions and movements of all assets on his screen, all other displays running APRS software display the same positions. APRS automatically computes positions by latitude and longitude for all stations, based on the position of the cursor on their map display. No GPS or special hardware is needed in most cases. Even the simplest of portable packet stations with dumb terminals can report their positions if a pre-printed map which has a latitude/longitude grid reference is the mobile station could see itself tracked on the map. By making this interface conform to the NMEA-0183 interface standard, any GPS or LORAN device could be used instead of just the Motorola and the Magellian. The only disadvantage to this arrangement is the requirement for a PC (laptop) on board each mobile to be tracked. LORAN devices can be purchased for less than $200.) Hopefully, PacComm and other TNC manufacturers will improve on this idea and include provisions in TNCs not only to accept both GPS/LORAN course and speed, but also to permit manual entry of position by fixed stations. The final observation, as this article goes to press, (December 1993), is that GPS and LORAN prices have dropped by 50% just in the last year to below $500 and $200 respectively. Magellan confirms that their new, smaller 10-channel circuit card GPS will be $295 in single unit quantities by May, although it has only a binary output instead of the NMEA-0183 output. made available to all net participants. The operator of a portable station just looks at the map and enters his latitude and longitude into his beacon text. Using the same map, he can plot with pins the location of all other stations as he sees their position reports go by. APRS could be a solution to the effective use of orbiting terrestrial style packet radio digipeaters in space such as on the shuttle, MIR, AO-21 and ARSENE. The problem with space digipeaters is the saturation on the uplink channel which makes the use of a normal connected protocol impractical. For a connected contact, a total of five successive—and successful—packet transmissions are required. Not only does APRS reduce this to one packet, but it also capitalizes on the most fascinating aspect of the Amateur Radio hobby by displaying the location of those stations on a map. If all stations inserted their latitude and longitude or grid square as the first characters of their beacon text, everyone within the satellite footprint would see the location of every successful uplink. Since the shuttle is a rapidly moving object, the locations of successful uplink stations will move progressively along the ground track. No changes onboard the shuttle or MIR would be required to implement this capability! APRS also supports an optional weather station interface to the ULTIMETER-II home weather station. The wind speed, direction, temperature and rainfall are inserted into the station's periodic position report. The station shows up on all APRS maps as a large blue dot, with a white line showing the wind speed and direction. Several automatic APRS weather reporting stations, supported with additional manual reporting stations, can form a real-time reporting network in support of SKYWARN activities across your state. APRS is an excellent tool for direction finding (DF). The X command (cross fiX) has been added to permit displaying the intersection of bearing lines from a number of reporting stations. The DF stations can either be manually placed on the map, or they can automatically be plotted if the DF bearing is included in their BText position report. All stations running APRS can simply hit the X key to display the intersection of these bearing lines. As of APRS version 3.00, there is an optional Doppler DF interface for automatically plotting and transmitting instantaneous DF bearings. Since the object of APRS is the rapid dissemination of real-time information using packet Ul frames, a fundamental precept is that old information is less important than new information. All beacons, position reports, messages and display graphics are redundantly transmitted, but at longer and longer repetition rates. Each new beacon is transmitted immediately, then again 20 seconds later. After every transmission, the period is doubled. After ten minutes only six packets have been transmitted. After an hour this results in only three more beacons; and only three more for the rest of the day! Using this redundant Ul broadcast protocol, APRS is actually much more efficient than if a fully connected link had to be maintained between all stations! APRS is the newest frontier in amateur packet radio and it parallels the explosive growth in the GPS technology. Although there are now—and will be— some amazing software products in the consumer marketplace, none have been written from the ground up to support amateur packet radio. Even without GPS, APRS is a fresh approach to using packet at real-time events. APRS runs on any PC with a CGA, EGA or VGA video card and is available as shareware or for $24 from the author. The option for direct connection of your own GPS is an additional $9. In a typical GPS/LORAN device, any, some, or all of these data formats are output approximately once every two seconds. This is why you cannot just connect any GPS or LORAN to any TNC: there is just too much data for a packet channel. Also note that the NMEA-0183 interface is only "sort of' compatible with RS-232. NMEA-0183 does not require both positive and negative voltages, although it allows them, so you may have to add a 5-kQ pull-down resistor to a negative voltage on the output of the GPS/LORAN receiver to make it compatible with RS-232. 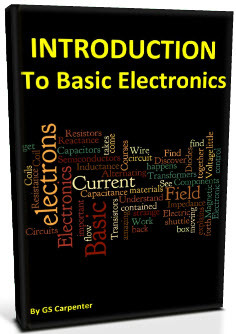 Usually, this can just be a single added resistor in the serial port connector between TXD and RCD, since the TXD line rests at a negative voltage while not sending data. The easiest implementation for GPS is to just plug the NMEA-0183 output into a PC running APRS with the optional GPS routines built in. This places your station on the map, James Bond style, and you can drive around town and see yourself go. If you also have your TNC interfaced, everyone else on frequency will also see you move. APRS allows you to set both your own map refresh rate and the packet transmission rate. We have found that one position beacon about every two minutes is fine for long trips, and about one every minute is good for special events on a shared frequency. To reduce channel loading, APRS decays this period out to once every 10 minutes or more if the station is not moving. The disadvantage of this arrangement is the need for a PC on the moving vehicle. data for position, not the $GPVTG course and speed, and does not yet include the LORAN formats. PacComrn sells an amateur version of their vehicle tracking system, which is a TNC with built-in GPS receiver, to satisfy off-the-shelf applications. It would be best if PacComm and other TNCs using this option didn't require a specific NMEA sentence but were more generic. Howie Goldstein, N2WX, suggests a MASK command that tells the TNC to look for any user-defined character strings (such as $GPGGA, etc) and then output those strings as a UI frame. This command option should accept a minimum of two such definitions. In addition, the user should be able to specify the periodicity for this data. This way, the TNC could be told to transmit only the GLL and VTG sentences once every two minutes for a mobile, or the KMC once every 15 minutes for a boat, or the GGA and VTG sentences once a minute for a balloon or aircraft. Secondly, there should be a special "location text" setting in every TNC for the user to manually enter his position. This LText is handled just like BText, but is separate. So, you would also need an L E n command for setting how often you want the location text to be transmitted. Placing location reports in their own LText frame would keep BText free for other applications. APRS already separates positionreport UI frames from beacons. The LText should be a free text format so that it is compatible with any future specific formats (currently APRS parses $GPGGA, $xxGLL, $GPRMC, SxxVTG, APRS, both 4- and 6-digit grid squares and a future 8-character compressed L/L format, and there will probably be others, too). The minimum L period, L E 1, should result in a transmission once every minute. Also, each time the L E n command is executed, the LText should be transmitted immediately to start the new timing period so that a user can report a new position immediately. Fig 1—Interfacing the GPS card is very easy. The SW-1 switch allows the user to switch his laptop to talk to either the GPS or TNC. The SW-2 switch enables all position reports from the GPS card to go into the TNC for a stand-alone tracking device or to parallel the TNC data into the PC for single port mobile operations. 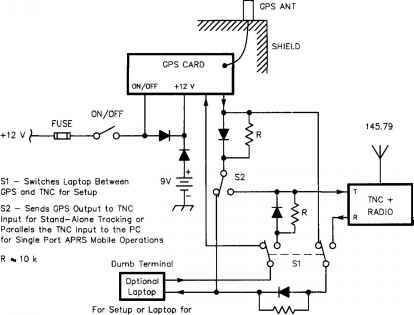 The diodes and resistors allow both the laptop and GPS card to be connected simultaneously. The TNC should be in the unproto-converse mode when GPS reporting is enabled. The 9-voit backup battery is also shown with its isolation diode. also which of the dozens of NMEA formats to use. 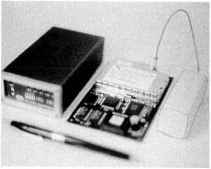 Our initial search found that some LORAN devices with a separate "printer" port can be configured by the user to output a report once every N minutes, or even hours, but the only inexpensive GPS devices that we found with this user program-mability were the Magellian and Motorola OEM cards. Tom Clark, W3IWI, has found that the 12-volt Motorola OEM prototype card also has user programmability. This card includes the RMC message, which contains both position and course-and-speed data for land mobile in one NMEA sentence. The card has an NMEA-0183 output and comes with an active patch antenna for $484. Although I do not personally have one of these, the combined receiver and antenna pricing, smaller size, and availability of the combined RMC sentence is very attractive. It outputs altitudes to 56,000 feet in the GGA message. Unfortunately, the full Motorola evaluation kit is $1200. But it does include a precise timing option. 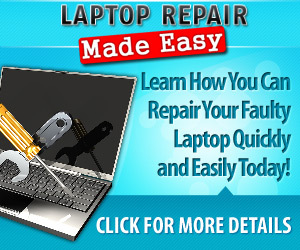 Call Jennifer Spitzen at Motorola, 708 4805699 and ask for the OEM circuit board. An automatic vehicle tracking system can be assembled using either of these two devices set to output at a low data rate by simply connecting their RS-232 output directly into the TNC. The TNC must be placed into the UNPROTO-CONVERSE mode, and from then on, a GPS position report will be transmitted periodically. The APRS software will decode the raw NMEA position reports and plot the station on the map!